As Nathen Amin points out in this useful guide, we often hear of ‘Tudor England’ so people can be forgiven for not knowing that the dynasty has its roots in Wales. I live in Wales and have regularly visited many of the places listed but still found plenty to learn about our Tudor Heritage. 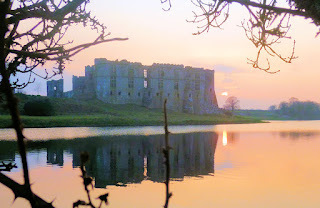 A good example is Carew Castle, which Nathen describes as ‘the largest Tudor house in Wales.’ I can remember when it was an overgrown ruin, fenced off because of the danger of falling masonry. Although the Carew family still own the castle, it is now leased to the Pembrokeshire Coast National Park, which has placed the castle firmly on the tourist map, with excellent facilities. I share Nathen’s disappointment with what remains of Carmarthen Castle, site of the death of Edmund Tudor, the unlucky father of King Henry VII. The building of a Victorian gaol (now the Council offices) means little more remains beyond the impressive gatehouse. Visitors find some consolation at the magnificent cathedral of St David’s, where Edmund’s tomb was moved to by his grandson, King Henry VIII. I also agree that the most impressive Tudor castle in Wales is the birthplace of King Henry VI and home of Jasper Tudor, in Pembroke. The Great Keep is seventy-five feet high and twenty feet thick at the base - and it is still possible for visitors to climb to the top and understand why the castle is one of the few which was never taken in a siege. 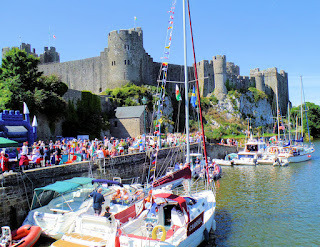 Pembroke Castle has also been restored and preserved, with good interpretation. Always worth a visit, there is an excellent programme of events throughout the summer months. 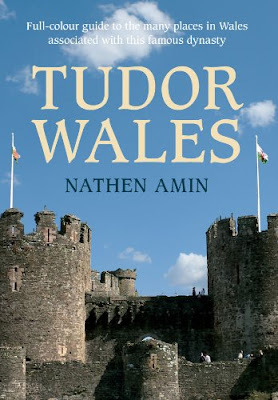 Well researched and informative, this book takes the reader on a detailed tour of the whole of Wales and is highly recommended for anyone who would like to understand more about the Tudors. 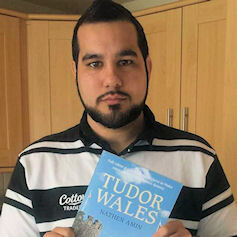 Nathen Amin grew up in the heart of Carmarthenshire and has long had an interest in Welsh history and the Welsh origins of the Tudors. This passion has guided him all over Wales to visit a wide variety of historic sites, which he has photographed and researched for this book. He has a degree in Business and Journalism and is the founder of the Henry Tudor Society. Find out more at his website nathenamin.com and follow Nathen on Facewbook and Twitter @NathenAmin. Pat Barker revisits the First World War and the characters introduced in Life Class. The second book in Pat Barker’s new trilogy is set in 1917, when young artist Elinor Brooke learns her brother Toby is listed as missing, presumed dead. We follow her attempts to uncover the truth of his death, so I expected this book would reveal the true impact of the war on the lives of everyone. What I didn’t expect was for Pat Barker to address one of the last ‘taboo’ subjects rarely explored by other authors – with such gripping effect. The same characters so wonderfully developed in Life Class, suffer sometimes physical and emotional trauma, made all the more shocking by our knowledge of their previous lives. I particularly liked the evocative glimpses of live at the front line, seen through flashbacks. Once again, Pat Barker shows her skill with passages from Elinor’s diary which conceal as much as they reveal, leaving the reader to form their own theories. 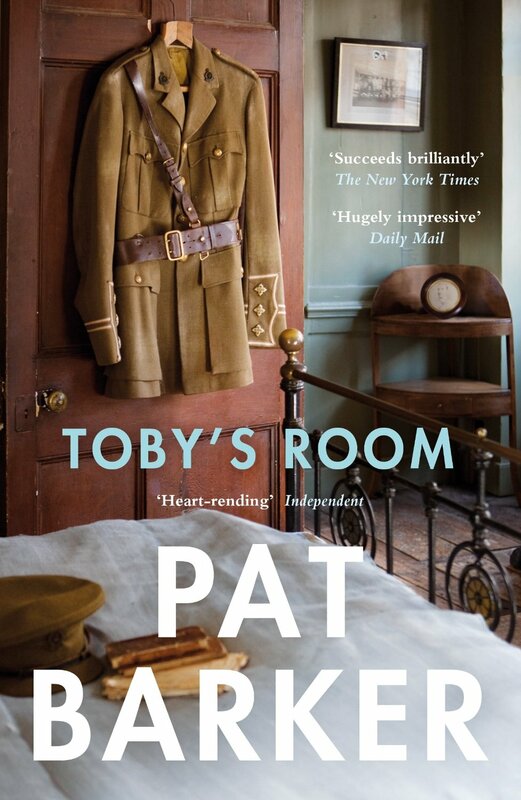 Toby’s Room is also a moving tribute to the memory of those who survived the horrors of war and continued fighting, often against the odds, to recover their humanity. Pat Barker was born in Thornaby-on-Tees and attended the London School of Economics. She has been a teacher of history and politics and lives in Durham, UK Pat Barker's books include Union Street (1982), winner of the 1983 Fawcett Prize, which has been filmed as "Stanley and Iris"; Blow Your House Down (1984); Liza's England (1986), The Man Who Wasn't There (1989) and the highly acclaimed Regeneration trilogy, comprising Regeneration, The Eye in The Door, winner of the 1993 Guardian Fiction Prize, and The Ghost Road, winner of the 1995 Booker Prize for Fiction. Halloween - ghoulies and ghosties and long-leggedy beasties and things that go bump in the night. Whatever the early pagan or Christian origins of All Hallows' Eve, the creatures of the netherworld are now thoroughly celebrated or lampooned, depending on your perspective, on October 31st. These are the creatures of the ‘natural’ world, but on a stormy night in 1816, Mary Shelley conceived a man-made monster that was to capture the imagination of generations and spawn many 'hideous progeny'. On All Hallows' Eve in 1831, the Frankenstein novel that most people read today, was reprinted and published in a one volume popular format instead of the three volumes usual for the time, which gave it an even wider audience. The novel had already had considerable success since it was originally released in 1818 and almost immediately captured the popular imagination. Its fame was boosted by stage adaptations, notably Presumption; or, the Fate of Frankenstein, which played at the Royal Opera House in London in 1823. Mary went to see the production and though she admitted that they had not followed the story closely, she thought it was well done. There were thunderstorms and a collapsing glacier and the monster was so suitably scary that women in the audience fainted. It is lucky that Mary was not precious about the representation of her work or she would surely be endlessly rotating in her grave. The themes and imagery from the novel have been recast into cartoons, music, plays, comedies, TV series and almost a hundred movies. The most iconic representation was of course Boris Karloff as the monster in the 1931 Hammer Horror movie adaption, with the monobrow and bolts through his neck. Frankenstein's screen history started in 1910 in the first silent film from Edison studios and continues with new 2015 movie with James McAvoy and Daniel Radcliffe. 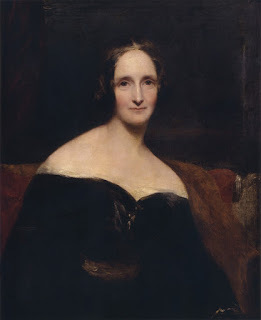 Mary Shelley was only eighteen when she started her story and it was composed on a wild and stormy night in mid summer in Lord Byron's villa on the lake at Geneva. That year, 1816, was known as The Year Without a Summer. Mount Tambora in Indonesia had erupted spectacularly – it was the largest volcanic eruption in recorded history – and Europe was blanketed in dust. People thought the end of the world had come. It was a suitable backdrop to the creation of a gothic story as Byron, Mary and her lover, Percy Bysshe Shelley, her stepsister Claire and Byron's doctor, Polidori, huddled around the fire reading ghost stories. Byron then threw out the challenge for each of the company to try their hand at the creation of something frightening. 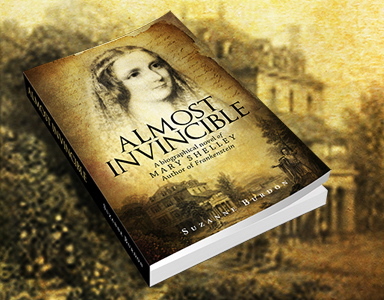 Mary had felt enormous pressure to validate her genes and produce a literary work of value, but until Frankenstein she had struggled to find the right outlet for her creativity. So Mary's response to the challenge was inevitably more than a simple scary story. Her parents were both radical authors; her mother wrote A Vindication of the Rights of Woman and is considered an early feminist and her father, William Godwin, wrote a groundbreaking anti-establishment book called Political Justice. So writing something that had social meaning was not surprising. The scientific context of Frankenstein is more unexpected but was a result of her relationship with Shelley, the poet. When she eloped with him, Mary hadn’t realised the depth of his passion for chemical experiments, nor the potentially lethal impact of his obsession on working papers, tabletops or cushion covers, as smoke rose and glasses full of foul-coloured liquid shattered. Wires and crucibles of liquids would appear on the parlour table alongside the solar microscope and the extremely thumbed and stained copy of The Elements of Chemical Philosophy by Humphrey Davy. It didn't add to their acceptability to landladies, but it did add to her inspiration for the science in Frankenstein. Suzanne Burdon is English and now lives in Sydney, Australia. 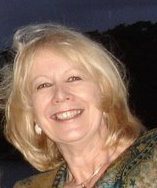 She has an honours degree in Sociology with a major in Literature and a Trinity College London Licentiate in Effective Communication. She works as a social and market researcher, which involves understanding the behaviour and motivation of a wide range of people in many different contexts. Find out more at her website www.suzanneburdon.com and follow her on Facebook and Twitter @SuzanneBurdon1. From the far edges of the Empire, two women come to battle on the hot sands of the arena in Nero's Rome: Afra, scout and beast master to the Queen of Kush; and Cinnia, warrior-bard and companion to Queen Boudica of the British Iceni. Enslaved, forced to fight for their lives and the Romans' pleasure; they seek to replace lost friendship, love, and family in each other's arms. But the Roman arena offers only two futures: the Gate of Life for the victors or the Gate of Death for the losers. Faith L Justice has a deep fascination with the world of ancient Rome and her passion for this lost era shines through in her new novel, Sword of the Gladiatrix. Like most readers, I came to the book with mixed expectations, wondering if it was going to be a cross between Spartacus and Xena, Warrior Princess. Right from the start, however, I was gripped by Faith’s great writing style – and hardly put it down until I reached the end. I remember being told once that no book was ever improved by a prologue. Faith proves this wrong, as she sets up a ‘cliff hanger’ which the reader spends the rest of the book hoping to resolve. I particularly liked the way two stories, of different culture (either of which could have carried the book alone), interchange and gradually merge in the melting pot of the Roman Empire. The two heroines of Sword of the Gladiatrix are memorable and original, and Faith has achieved the difficult challenge of making me care even about the minor characters. The love scenes were handled sensitively and provide a counterpoint to the inevitable savagery of the gladiatorial arena. Highly recommended – and I’m hoping there is going to be a sequel, as I’m keen to know what happened next. Faith L. Justice writes award-winning novels, short stories, and articles in Brooklyn, New York. Her work has appeared in Salon.com, Writer’s Digest, The Copperfield Review, the Circles in the Hair anthology, and many more. She is a frequent contributor to Strange Horizons, Associate Editor for Space and Time Magazine, and co-founded a writer’s workshop many more years ago than she likes to admit. For fun, she digs in the dirt—her garden and various archaeological sites. For more information visit Faith L. Justice's website. You can also find her on Facebook, Twitter, and Goodreads. The first novel in Pat Barker's new trilogy, Life Class is a memorable and compelling story. Set In London in the spring of 1914, we follow the lives of a group of students at the prestigious Slade School of Art, struggling to master life-drawing. The real life figure of Henry Tonks, described as "the most renowned and formidable teacher of his generation" is wonderfully observed, as is that of Paul Tarrant, the ‘odd man out’. As the only one not from a privileged background, Tarrant finds the struggle to impress Professor Tonks harder than most and is not really helped by his fellow students. 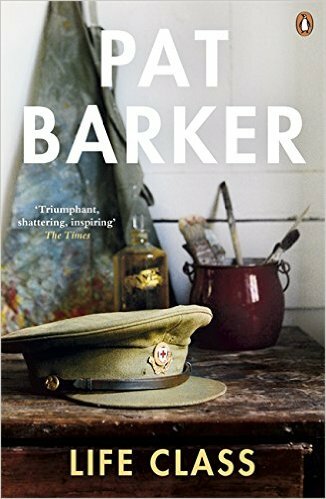 Pat Barker shows her award-winning mastery of story-telling as World War I begins and everyone is forced to make difficult choices. Rather than fight at the front line, Paul Tarrant opts instead for harrowing work as a Belgian Red Cross volunteer, tending the wounded, and of course returns as a changed man. My favourite character is the intriguing artist Elinor Brooke, a woman who refuses to follow convention. Elinor's attempted detachment from the reality of the war seems hard to understand at first, but we must of course set aside what we know. The ‘coming of age’ transformation is handled skilfully and sensitively and I feel I have gained a deeper insight into what it must have been like to live through the first world war. I particularly like the way the relationship between the main characters is explored through the exchange of letters, reminiscent of David Lodge in Changing Places, with an understated style that is more revealing than dialogue. I really enjoyed this book and have already started reading the second in the trilogy. Highly recommended. Plantagenet Princess, Tudor Queen is the culmination of two years of working and dreaming. 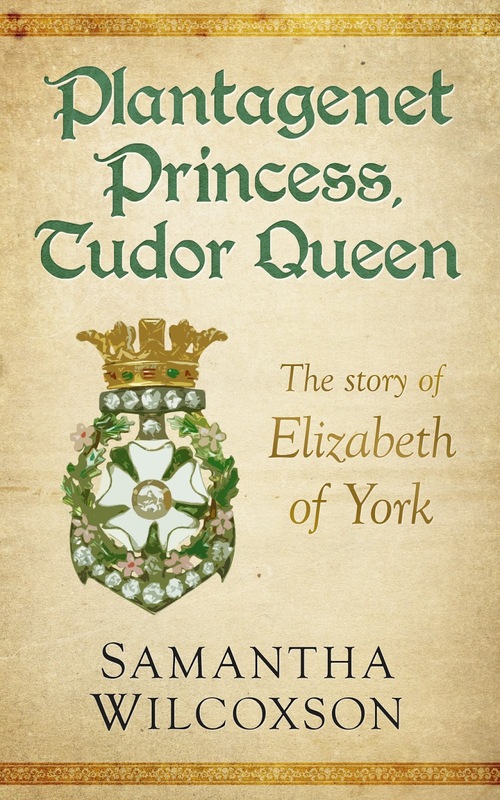 I am so excited about telling Elizabeth of York’s story and hearing what readers think about her. My journey started with inspiration from several sources, encouraging me to write the type of historical fiction that I love to read. I chose Elizabeth as my focus for several reasons. The Wars of the Roses is a historic era that I love to read and learn about. Many of the key players in this conflict have been well covered in both fiction and nonfiction. Elizabeth had a unique role as a prominent member of the Plantagenet royal family before the dynasty’s downfall and as the first queen of the new Tudor dynasty. Despite the important position that she held, before and after Bosworth, Elizabeth is often only discussed in passing. I wanted to fully feature her life and what it felt like to birth a new dynasty. Elizabeth of York is quiet in history books, and her true feelings and emotions are fairly unknown. Creating a personality for her was a challenge because of this, but that quietness was also a clue to her supportive and devoted character. I allowed her faith and family loyalty to be the main driving forces in her life. One cannot write about Elizabeth and Henry Tudor without delving into the mysteries of Perkin Warbeck and the Princes in the Tower. Throughout my novel, I strive to keep the focus on Elizabeth and not let these issues to become the center of her story. She does wonder about the fate of her brothers and is eventually motivated to attempt to discover the truth, but Edward and Richard are not the main characters here. My treatment of Perkin, I will leave as a surprise! 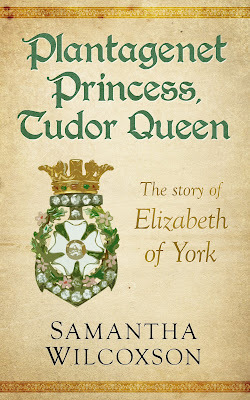 Plantagenet Princess, Tudor Queen covers the entirety of Elizabeth’s life, from her childhood until her untimely death. I have grown close to her through this process and hope that my readers grow to love her as well. Samantha Wilcoxson is an American writer and history enthusiast. 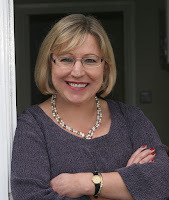 Author of three novels, No Such Thing as Perfect, Over the Deep: A Titanic Adventure, and Plantagenet Princess, Tudor Queen: The Story of Elizabeth of York. She lives in Michigan with her husband and three children. Connect with Samantha at Goodreads and on Twitter @carpe_librum. Fred Barnard, an enterprising advertising executive in the early 1920s, is credited with the phrase "a picture is worth ten thousand words" in a headline selling advertising in trams. Fred knew he was on to something - and I wonder what he would have made of the power of a one-minute YouTube video? 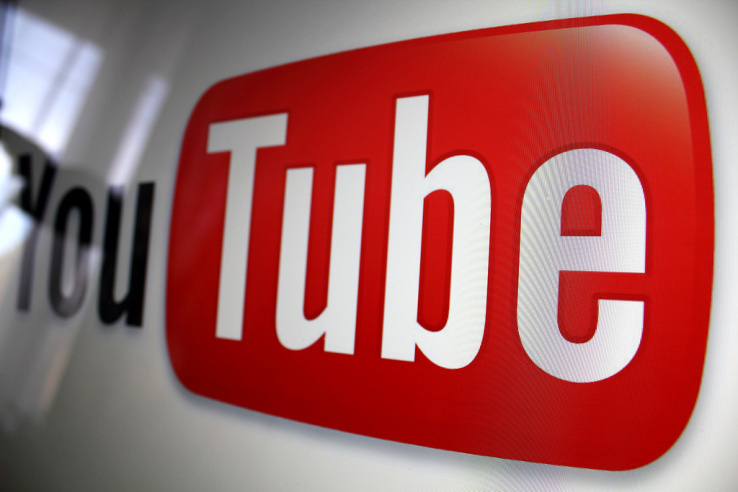 With over a billion users, the number of people watching on YouTube each month is up 50% year on year. The problem is that over three hundred hours of video are uploaded to YouTube every minute, so how can you expect your modest book trailer to ever be seen? There are plenty of low cost packages on the market, so I chose Cyberlink’s PowerDirector, which has an intuitive ‘drag-and-drop’ visual timeline. As well as being easy to use, PowerDirector optimises your video for YouTube upload. 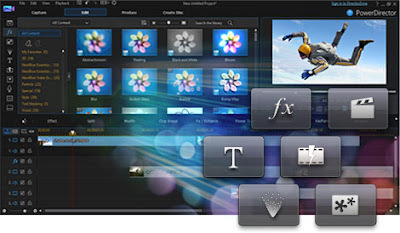 PowerDirector also includes a wealth of free templates and effects, although I recommend keeping things simple. It is important to remember the average span of attention you should expect from browsing book buyers is one minute. This means your soundtrack needs to make effective use of such a short time. You need to make sure it is copyright free or obtain consent – and it is easier to make the video fit the soundtrack than the other way around. My brother kindly composed and produced the music to accompany my previous video for The Secret Diary of Eleanor Cobham. The new one has an extract from Cantiga 166 by Vox Vulgaris and the Swedish composer Rasmus Fleischer was happy to give permission for its use. 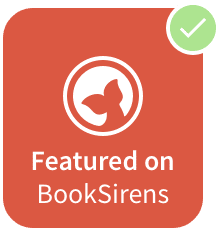 I find it best to use the book description as a starting point – and this can sometimes highlight ways to improve your wording. Six or seven key points in short sentences are all you should try for in one minute. Try it out on a slow reader before uploading the video, to make sure you’ve allowed enough time. I like to start and end the trailer with a cover shot, although it can be tricky to find copyright free pictures and video clips, Fred Barnard will tell you the effort is definitely worthwhile. There are some useful free images listed in Dana Fox’s post, 30 Free Stock Photo Resources, which also has some useful guidance on image licences. The most impressive book trailers are surprisingly sparing with special effects. I try to limit it to simple fades, with one or two effects to grab attention where appropriate. Most video production packages offer a bewildering range of options. I’ve been using an aspect ratio of 16:9 to encode MPEG-4 AVC (H.264) video format in high definition. (MPEG-4 AVC uses better compression than MPEG-2, using less space to produce a video of similar quality with faster uploading.) Make sure you keep all your source files in a folder and back them up, as you’ll need them if you want to update the video later. If you don’t already have a YouTube account they are free and easy to create and there are instructions here. You can add the full cover ‘blurb’ for your book as well as purchase links in the video description. I usually create a special ‘thumbnail’ image if I don’t like any of the choices offered by the YouTube uploader. Share with your social networks and upload to your website, as well as your author pages. When appropriate, you can also add the link to emails - most email systems now allow the recipient to view it within the message. Carlos Almanzor has been the ruler of his country for 37 years. Now in his seventies, he is feeling his age and seeing enemies around every corner. Meanwhile, Carlos’ estranged and imprisoned wife Juanita recalls the revolution that brought him to power and how, once a liberal idealist, he changed over time into an autocrat and embraced repression as the means of sustaining his position. In time, as Manuel makes his own bid for power, Juanita will find herself an unwitting participant in his plans. Hello, Tony, and thank you very much for inviting me onto your blog. Since I’m the guest of a historical novelist today, I thought I would talk about the different ways in which my own novels have been informed by history. 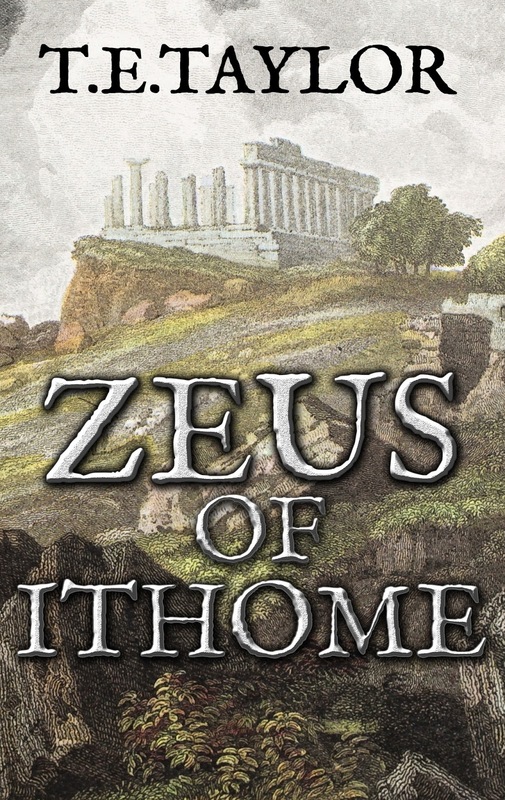 My first, Zeus of Ithome, is what you would call a historical novel with a capital ‘H’, since it was inspired directly by historical events and aimed to bring them to life, albeit through the personal stories of mostly fictional characters. Thus the novel is not only placed in a historical setting, but structured by the history itself, with the lives of the protagonists woven around the real-life events. The events in question are the struggle of the Messenian people in southern Greece to free themselves from three centuries of slavery under the Spartans, and the wider power struggles between the Greek States in the fourth century BC which created the conditions for their last and greatest revolt. When I read about all this (ironically, in a book about Sparta) the story of the Messenians seemed to be crying out to be told. I took as my central character Diocles, a runaway ‘helot’ slave, who falls in with, Aristomenes an ageing Messenian rebel and travels towards Delphi to seek advice from the oracle. There, Diocles meets Epaminondas, a (historical) Theban general, who also has no love for Sparta, and follows him to Thebes to learn political and military skills. As war brews between Sparta and Thebes, the conditions finally become right for Diocles and Aristomenes to return to Messenia and begin their revolt in earnest. 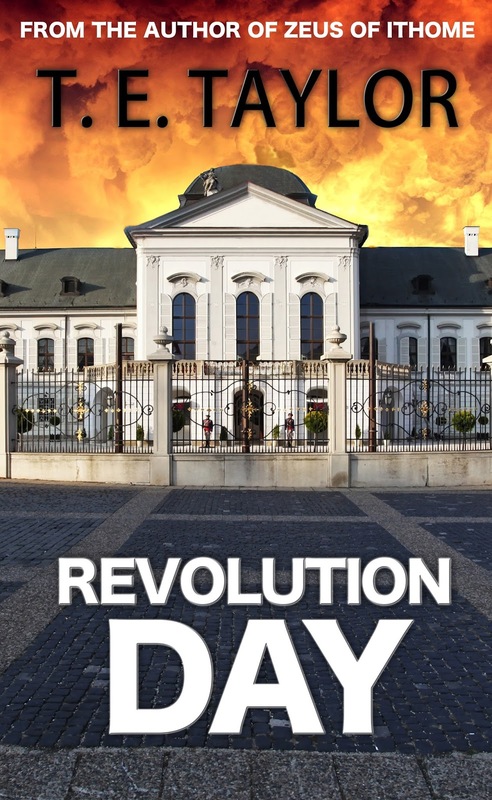 My second novel, Revolution Day, has a very different relationship with history. It deals with fictional events involving fictional people in a fictional country. Nevertheless, it is also, in its own way, inspired by history – in this case, the downfall a few years ago of a string of dictators (Hussein, Mubarak, Gaddafi) in the middle east. That was the core around which some rather vague pre-existing ideas about the fleetingness and corrupting nature of power coalesced. Having decided to write a dictator novel, I settled on Latin America rather than the middle east, to allow more space for a strong, politically active female character: Juanita, the estranged wife and former colleague of ageing dictator Carlos Almanzor. She is writing a memoir in which she chronicles his rise to power and his regime’s descent into repression. The third key character is Manuel Jimenez, the Vice-President, who is frustrated by his subordinate role and decides to make his own bid for power. Lacking military support, he must do so not by force but through intrigue, manipulating the perceptions of Carlos and those around him to drive a wedge between him and Angel, the head of the Army. As Manuel begins to pull the strings, Juanita will become an unwitting participant in his plans. Whereas with Zeus of Ithome I had been quite meticulous in getting the period details right and in making sure that the events described in the novel are consistent with the known facts (though I felt at liberty to fill in gaps! ), with Revolution Day I could be much more free in borrowing from history. Carlos is not based upon any particular individual, but I drew on a variety of dictators in imagining him and the history of his regime – his look, for example, owes something to Augusto Pinochet of Chile. Similarly, though the character is not directly based on her, there is a hint of Eva Peron about Juanita. The ups and downs of Carlos’ regime (recalled in Juanita’s memoir) take place against the background of changing relations between the superpowers during the Cold War, as he seeks help from first the Russians and later the Americans to prop up his troubled government. 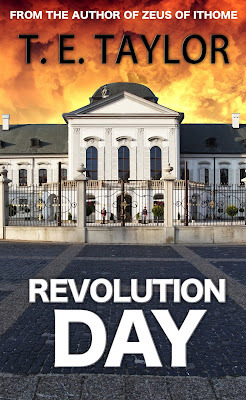 I have always loved historical fiction and have plans for a sequel to Zeus of Ithome in due course but my experience with Revolution Day has taught me that history can be a valuable and enriching resource not only for historical novels in the strictest sense, but for any fiction which explores timeless issues, like the effects of power, that have played out time and again in human society. 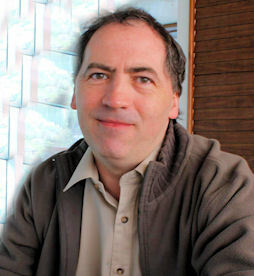 Tim was born in 1960 in Stoke-on-Trent. He studied Classics at Pembroke College, Oxford (and later Philosophy at Birkbeck, University of London). After a couple of years playing in a rock band, he joined the Civil Service, eventually leaving in 2011 to spend more time writing. Tim now lives in Yorkshire with his wife and daughter and divides his time between creative writing, academic research and part-time teaching and other work for Leeds and Huddersfield Universities. Tim’s first novel, Zeus of Ithome, a historical novel about the struggle of the ancient Messenians to free themselves from Sparta, was published by Crooked Cat in November 2013; his second, Revolution Day in June 2015. Tim also writes poetry and the occasional short story, plays guitar, and likes to walk up hills. Further information on both of Tim's novels is available on his website and e-book editions are currently reduced to 99p or equivalent until 15 August as part of the Crooked Cat Summer Sale. You can find Tim on Facebook and Twitter @timetaylor1. After spending a year researching and writing a book, you’ll forgive me if I hesitate for a moment before offering to give it away to readers for free. It doesn’t help that I once had a disconcerting experience with Amazon’s KDP Select ‘promotion’. 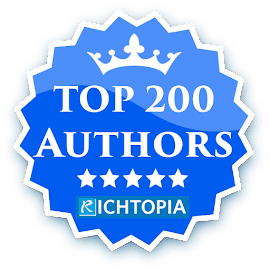 In return for promising exclusivity to Amazon for ninety days, I ran a special giveaway weekend and watched as over five hundred readers happily downloaded their free copies of my book. I waited for the review to roll in. They didn’t. Then a friend pointed out that although Goodreads giveaways look as if they are only for new books, you can also use them to introduce older books to new readers. This was good news, as I had a couple of paperback copies of my previous novel, The Secret Diary of Eleanor Cobham. This book had been in the top ten on Amazon UK Historical Fiction Biography since it was published and now I wanted to find an effective way to raise awareness in the US. I found my giveaways provided a useful source of material for my social media networks. 'Have my book for free' is unsurprisingly much more popular than the dreadful 'buy my book' messages we see too often. I was also interested to see how widely news of the giveaways was being shared on Twitter and Facebook. So how did it all work out? Well the good news is sales of ‘The Secret Diary’ have really taken off in the US, more than doubling since the giveaways. It is still too early to expect reviews, although both communities of readers are well aware of how much authors appreciate a short review. Goodreads estimate that around 60% of giveaways result in reviews, so fingers crossed. The cons? Well the ebook versions were easy, as I was sent a list of emails of the Booklikes ‘winners’. Goodreads sent me the addresses of the winners of the paperback giveaway (one in the US and one in Canada) and I had to parcel them up and pay the postage - but it is a tax allowable expense so the real cost is my time. Would I recommend it? 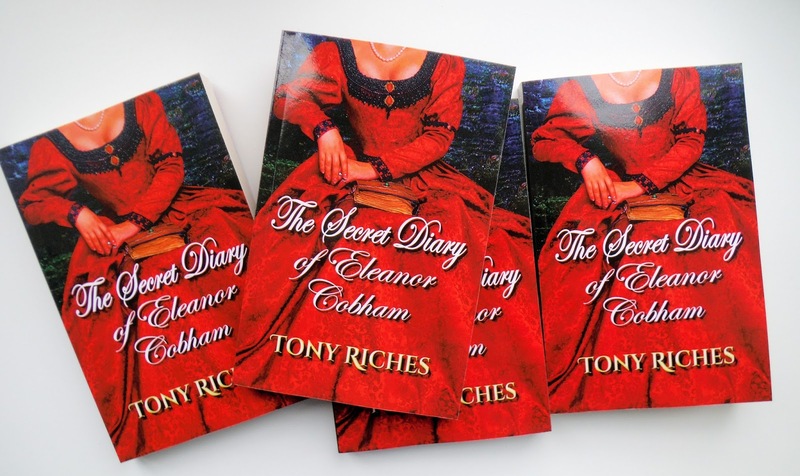 Definitely, for as well as the boost for ‘Eleanor’ I’ve seen a spike in sales of my other books in the US and the UK which far exceeds the value of the giveaway copies. Unlike most authors, I fell into writing by accident. I’m prone to making sudden life-changing decisions, and having picked up Sharon Penman’s The Sunne in Splendour on a whim in Australia one day, I was blown away by how vividly she brought the 15th century to life. I closed the book not only convinced of Richard III’s innocence, but determined to return to the UK and do a PhD in Medieval Studies. In order to fund a return to study, I hit on the idea of writing romance. Easy, I thought. Wrong! If I had known just how hard it would be, and how uncertain the chances of success, I would probably never have started writing at all, but fortunately I blundered on without troubling to do any research on the matter at all. I spent more than 10 years alternating my research on public space in late medieval and early modern York with writing contemporary romances, and the question I was asked most often during that time (obviously after ‘Have you ever thought of writing a real book?’) was whether I was going to use my research to write historical fiction. My answer was always a firm ‘no’. Torn between my instincts as a historian and my experience as a writer, I worried about authenticity. How could I possibly create characters who would speak and think convincingly, yet still appeal to a modern reader? But when I had completed my PhD, I found that I missed the contrast between thinking about the past and writing contemporary stories. I was ready for a change, and I started to think, well, maybe I could try writing a novel based on my research after all. I was drawn to the idea of a ‘time slip’, a novel set partly in the present and partly in the past, and a story that would highlight the tension between the familiarity and the strangeness of 16th-century England. My first step was to let go of the ideal of authenticity. The truth is that no matter how much scholarly research we do, we are still never going to know what it was ‘really like’ in the past. The only way we could do that would be if we were able to go back and experience life then as someone at time - which is precisely premise of a time slip and what makes them so interesting to write. At the same time, there is an unspoken contract between a writer and a reader of historical fiction: while dialogue may be modernised to make it accessible to today’s readers, for instance, the historical setting and details of the story must be accurate. I use my knowledge of Elizabethan England to give texture to my story and create what I hope will be a vivid picture of everyday life at the time, but I never forget that the story comes first. Pamela Hartshorne stumbled into writing in order to fund a PhD on the later medieval and early modern street. While continuing to work on a scholarly edition of the records that formed the basis of her research – (see www.facebook.com/yorkwardmote for more details). Pamela now also writes historical novels that move between the 16th century and the present. 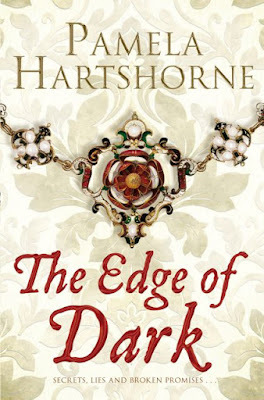 Her latest book, The Edge of Dark, published by Pan Macmillan, is set in Elizabethan London and York. 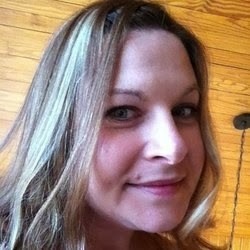 Find Pamela on Facebook and follow her on Twitter @PamHartshorne. Princess Caroline is determined to make the family a success. Yet the feud between her husband and his obstinate father threatens all she has worked for. As England erupts in Jacobite riots, her family falls apart. She vows to save the country for her children to inherit - even if it costs her pride and her marriage. 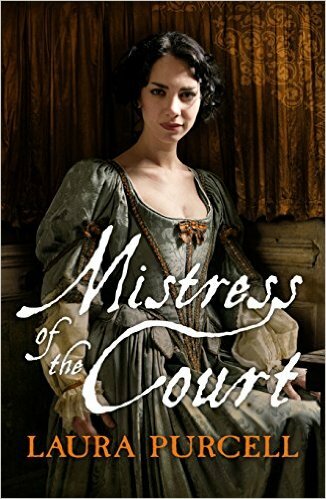 Set in the turbulent years of the Hanoverian accession, Mistress of the Court tells the story of two remarkable women at the centre of George II's reign. 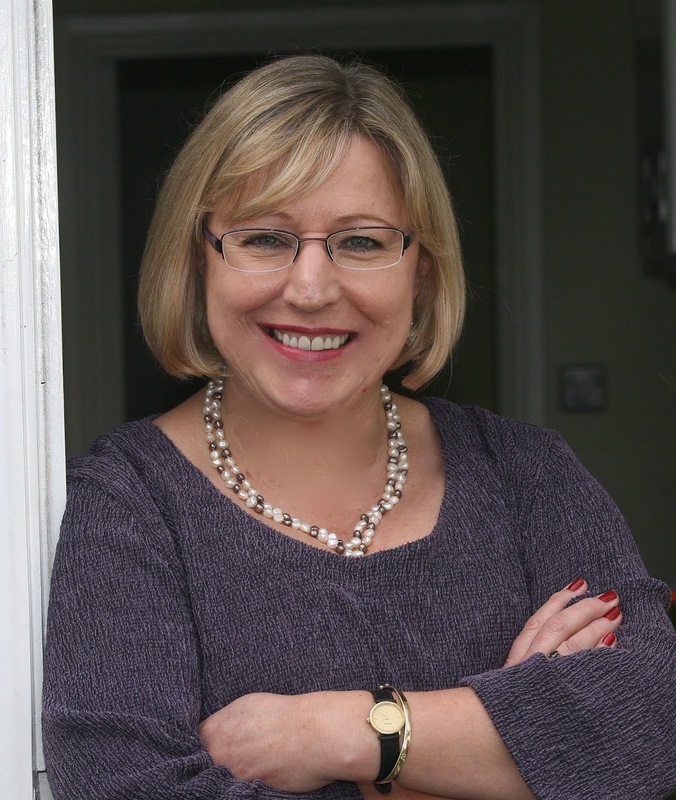 Laura Purcell lives in Colchester, the oldest recorded town in England. She shares her home with a husband and many guinea pigs. 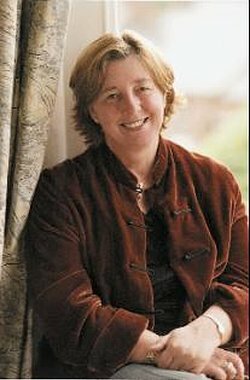 Her novels explore the lives of royal women during the Georgian era, who have largely been ignored by modern history. To find out more about Laura, please visit her website www.laurapurcell.com and find her on Facebook and Twitter @Laura_D_Purcell. A practical guide to happiness. For those who have read Eckhart Tolle’s The Power of Now, but don’t know how to get there, this book is for you. Through self-inquiry and meditation, as similarly taught by Ramana Maharshi, Gary Weber, and more, you can eliminate anxiety, depression, anger, and enter in the present, happy and content. How do I actually experience writing? I sit down in front of my computer and stare down at the keyboard or the screen. My mind is blank — exactly how it should be. I am present for the writing of the book, but there are no distracting thoughts that exist. When I write, I either just see the words start to appear on the screen, or I experience some auditory version in advance, and a feeling that accepts it or rejects it. This is how simple writing can be. In a sense, the books that I have written are writing themselves. I have gotten out of the way and permitted the process to flow. But this wasn’t always the case. I do recall, when I first started writing, having this nagging internal dialogue go on. It could be about anything. Reminders that I had to do laundry. Thoughts about where to eat lunch. Doubts and fears about my writing. There were times when I would just sit at my desk, and, instead of being productive, my mind would be going on some endless loop of self-doubts or considerations of possible scenarios about someone not liking what I have written. I completely clogged the path for my creativity to emerge. If anything came out, it was sabotaged and skewed by my unnecessary thoughts. Most thoughts that we have are not necessary. That don’t benefit us. They block our creativity and they stress us out. So, stop thinking! As crazy as that sounds, it is both possible and simple to do. 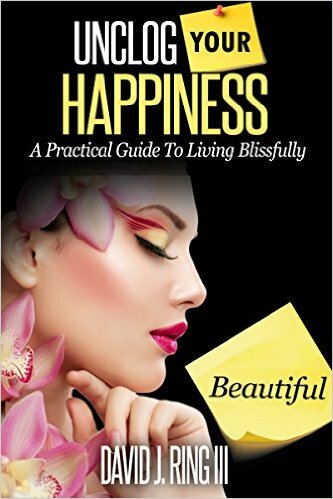 As detailed in my book, Unclog Your Happiness: A Practical Guide to Living Blissfully, this can be done by self-inquiry, a process where we look back at where our thoughts are coming from. For example, if I thought, “I shouldn’t link my book here. That is too spammy,” then I would reply with the thought, “Who is commenting?” This continual process of looking back at the source of our thoughts — and finding out that there is no real source — shuts down these pejorative thoughts. 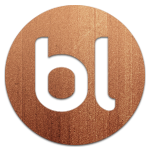 Creativity, productivity, and peacefulness are enhanced. There are also other things that I do to help facilitate the process of writing. I generally find myself writing more after I have had a (sugarless) cup of coffee or tea. Sitting down in an area that minimizes distractions. This often means taking my netbook — which has been stripped down of all functionality beyond what is necessary to write — and going to a quite coffee shop. I generally will begin by writing a few sentences (a condensed version) about what I will be writing about. If nothing comes out, I will jot down any objectives I have on a notebook. When creativity falters, I don’t get upset. I just enjoy my coffee. For this article there were no notes. No prewriting. I had the vague sense of what the article would be about, but there was no elaborate outline of what to write about. Line by line, I experienced the words flow out. In this way, writing is simple, stress free, and enjoyable. 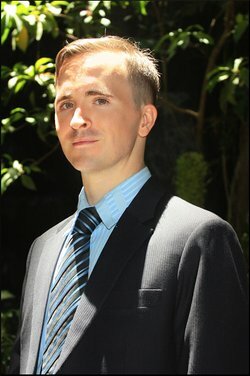 Author David Ring III was born in MA, in 1983. After an atypical upbringing that left him with a negative mindset, he began to seek freedom from his pessimistic thoughts. From 2007-2010, he settled in central New Hampshire. After buying a large, beautiful Victorian house in Franklin, NH, the economy went into recession. He began his first business venture, turning this home into a family business, a bed and breakfast. Upon coming to Thailand in 2010, he begin writing his first novel, Bound Before the Morrow, hoping to portray his own personal journey out of negativity and to inspire others to do the same. During the five years it took to write, his views changed slightly, and spirituality entered the mix. The book still maintained the original message, but a new way of life had opened for David. David still bases himself in Thailand. He avoids the heat by escaping into air conditioned coffee shops and plunging himself into writing. In this way he gently and articulately shares his philosophical beliefs. Find out more at David's website and find him on Facebook.